Telangana Factory Registration is mandated by the Factories Act, 1948 to ensure that the factory complies with the stipulated rules and safety guidelines. Upon registering the factory, the Government of Telangana issues a factory license. This license is a document of authorisation for granting permission to regulate and carry out manufacturing pursuits from a particular locality. 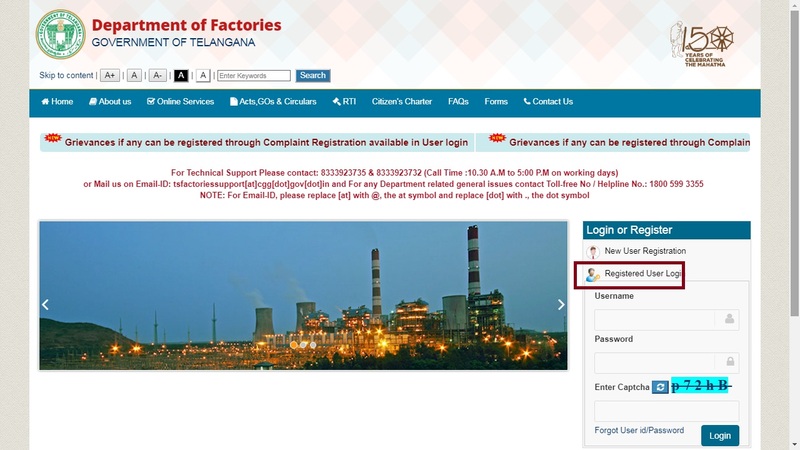 In this article, we look at the procedure for obtaining Telangana Factory Registration in detail. According to the Factories Act, any person who wants to construct, extend or take into use any building a factory in Telangana has to get prior permission from the respective authority in advance before the commencement of the manufacturing business. 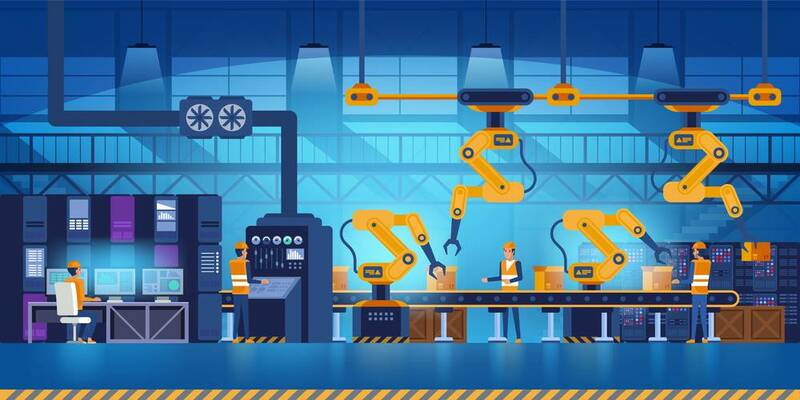 Factories in which ten or more workers are employed with power being used in the manufacturing process and factories which are engaging twenty or more workers without using power in manufacturing process need to be registered under the Factories Act, 1948. Any entrepreneur who wishes to construct, extend or take into use any building as a factory in Telangana need to get plan approval and permission to build, extend or to use any structure as a factory. After construction, the factory owner or the manager has to register the factory under the Telangana Factories Act, 1948. Before starting construction of a factory or in case of expansion of the factory, the entrepreneur needs to apply for approval of the plan and to get permission. If the request for approval of factory plan and permission to construct, extend or construct a building as the factory has been successfully accepted and before the commencement of operation, you can register the factory in Telangana and apply for a factory license. 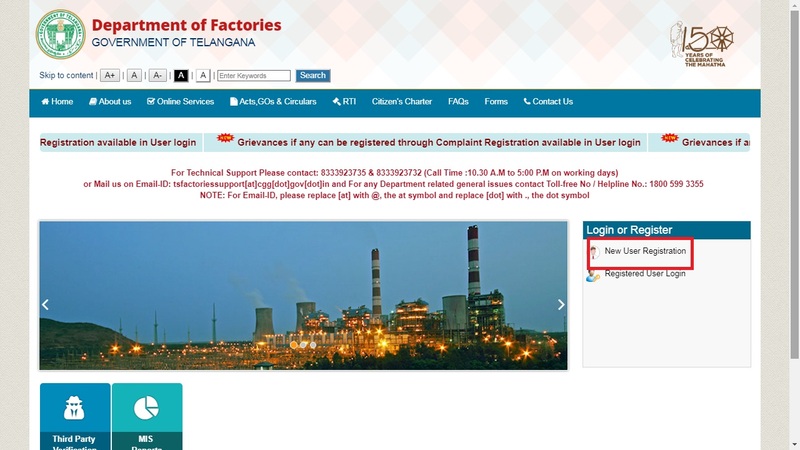 Department of Factories, Government of Telangana, facilitates the process of Telangana Factory Registration. The permission and plan approval granted under the factories act to construct or extend or using any building as a factory is valid for a lifetime from the date of issue. The Telangana factory license can be applied for one year or more but does not exceed ten years. After expiry, the license can be renewed. Approval of plans will be initiated within seven working days from the date of submission of complete application. Factory license will be issued within 7 Days from the date of application along with Fees. Factory license Renewal will take three days to complete. To Obtain Consent for Establishment of a factory, the applicant needs to pay a fee as described below. In case of Telangana factory registration, the applicant has to pay a prescribed fee as per the proposed schedule. We have here with attached a document to refer the fee as per nature of factory. Every licensee will have to pay an annual license fee before the commencement of any calendar year. The annual fee will be same as prescribed in the License Fee Schedule (refer above document) for each calendar year. If the annual license fee is not fully paid within the prescribed period, simple interest at two percent per month will be payable from the first day of the calendar year till the last day of the calendar month The fee along with the interest need to be paid. Fees payable for renewal will be equal to the number of years applied for renewal times of the Annual License Fee. Combined building plan including all floors. Partnership deed or Articles of Association. In case of plan extension or modification on factory building plans, previously approved plans have to be annexed. No document is required for renewal of Telangana factory license. 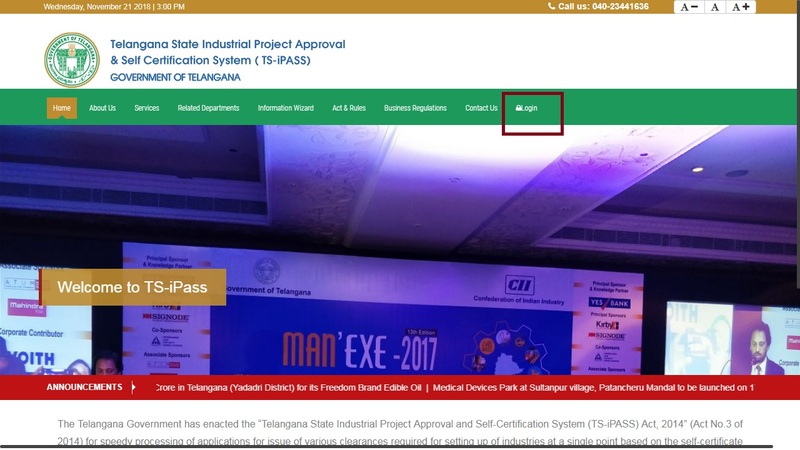 Step 1: The entrepreneurs who wish to construct a factory need to register in Telangana iPass portal. Access the home page of iPASS TS web portal. Step 2: From the homepage click on Login option, the link will redirect to new page. From this page select the New User Registration option. Step 4: After providing all details, click on ‘Click here to verify the Mobile number’ option. An OTP will be sent to the mobile number. Enter the same for verification. Step 5: By clicking on Check Availability Option, you can track the username availability. Click on the register option. 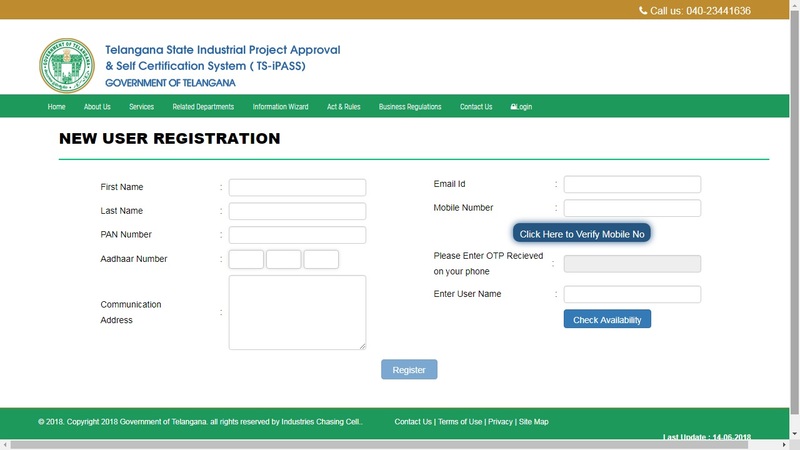 Step 6: Login to iPass web portal using the user credential, the application for plan approval and permission for construction of the factory will be displayed. Step 7: In the application form for plan approval, fill the form with accurate information. Step 8: By clicking on the save button, the details will be saved. In the next page, you need to upload all supporting documents. Step 9: After uploading the necessary documents, click on save and preceded button. Step 10: The fee will be calculated automatically on the basis of the details provided, and you will be redirected to the license fee payment page. After successful payment, you can apply to the department. Step 11: Application will be sent to the respective competent authority for further processing on the basis of the jurisdiction laid in the online system. Step 12: The Component authority on the basis of scrutiny will either approve, raise a query to reject the application received through the online system. Step 13: If the application found satisfactory, the component authority will approve the application, and the approval certificate will be made available at the entrepreneur dashboard. Step 14: By login to the portal you can download the digitally signed approval certificate. If the application for approval of plan and permission to construct, extend or use a building as the factory has been successfully accepted and before commencement factory operation, you can register the factory and apply for a license. 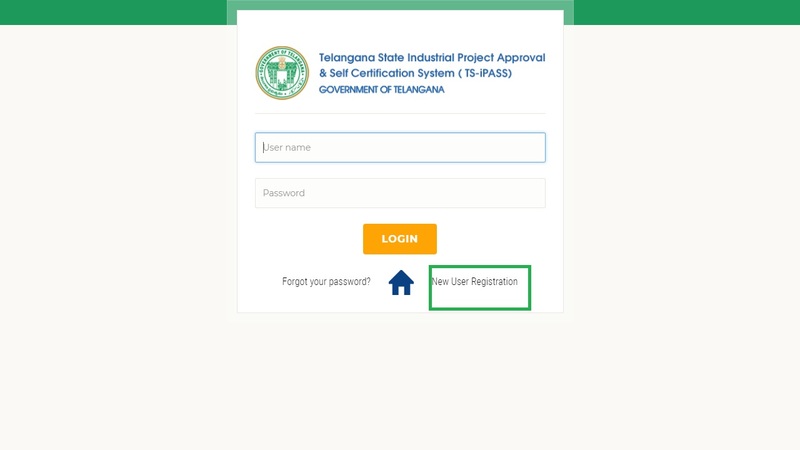 Step 1: If you are an already registered user of Telangana iPASS web portal, you can log in to this portal using the login credentials. The new user can follow the procedure explained above for registration. Step 2: After login to the portal, click on CFE option. The link will redirect to new page. Step 3: You need to enter details in the Questionnaire part. The system will show approvals; you need to submit the Questionnaires. Step 4: After submission, select the Common Application Form (CAF) option. The list will be displayed for that select the approvals for which you intend to apply for registration. Step 6: After providing all details in the application form, click on save. Now you can upload all the required documents. Step 8: Select the option ‘Pay for Factories Department’. You can make the payment via online internet banking. After making a payment click on the submit button. The status of the factory license application will be updated in the Entrepreneur Dashboard. By login to the portal, you can track the status of the application. The department will scrutinise the application, if any query regarding the application from the department, it will be visible on the entrepreneur dashboard. After verification, you can submit query response online. In case of an application approved, the approval certificate will be available in entrepreneur dashboard under Approval Status. 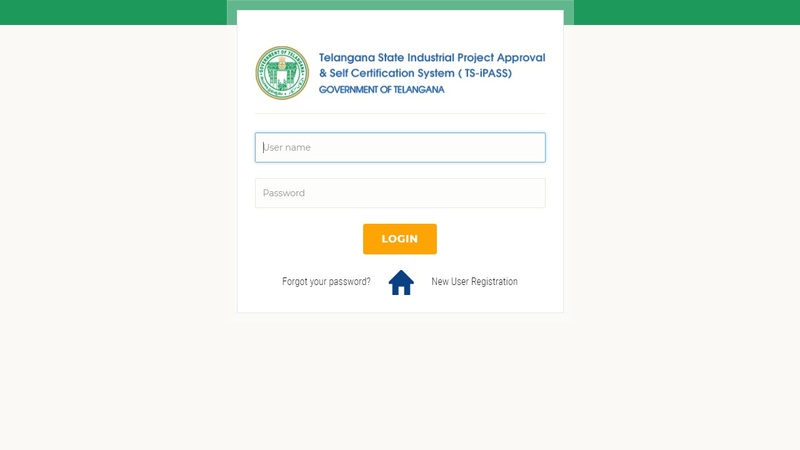 By login to the portal, you can get the digitally signed Telangana Factory Registration Certificate. An appeal against rejected application will be made from the entrepreneur dashboard on complying with the reasons for rejection. A request to consider the appeal can be made in the help desk also. In case of an appeal made it would be forwarded to concern department for their actions. Step 1: Click on New User Registration in the home page of the Factories Department . 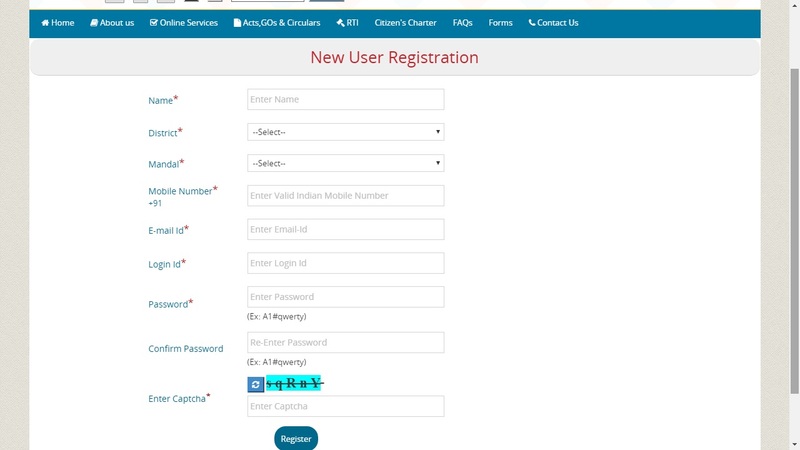 Fill up all the required information details and create a new user ID and password. Step 2: Use the created User ID and password in the Registered User Login to log in to the Entrepreneur’s window. Step 3: In the Entrepreneur’s window, select the Service – Payment of Annual Licence Fee. Step 4: After reading about the Payment of Licence Fee, click on ‘Click here to proceed’ button. Step 6: Enter Registration Number and all the other details will be auto-populated in the Application Form. Step 7: Select the Calendar year and number of years for which you wish to make the payment in case of annual license fee payment. Step 8: Submit the Application. Step 9: Click on the declaration and submit. Step 10: The details of the Payment to be made, including Arrears, Interest if any that is due to be paid is displayed. Step 11: Click on ‘Proceed to Payment’ for making the payment. Step 12: In the payment window, select the Bank form which you wish to make the payment through Net Banking. Step 13: Make the payment, and once it is successfully paid, you will get the Acknowledgement. Step 14: Save the Acknowledgement for your future reference. After verification, the Factory license will be renewed. An Applicant can get the factory license by login to the portal.